A Paper Pumpkin video and more! I am excited to share with you today, the July Paper Pumpkin Kit … later you will get to watch the June Paper Pumpkin video as well. Curious about Paper Pumpkin? Watch below as the July 2013 kit comes to life right before your eyes. The only mystery here is what’s in store for you next month! Paper Pumpkin comes to your door each month (a fully decked-out creativity carriage). It’ll help you to escape your life with some paper fun. Come join us … your carriage to creativity awaits! Paper Pumpkin makes a perfect gift for those who don’t get out much, but still love to stamp. 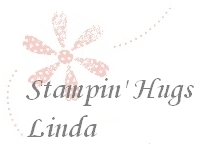 Heck … it makes a perfect gift for anyone: A special friend, a teacher, Mom, Grandmother, Aunt, Niece … oh yes, and as we know, men love to stamp too. Please let me know if you have any questions. Just leave a reply and / or your contact information; I’ll be happy to help you. Thanks!